The game includes a level editor and Java source code that can be recompiled to change the game logic and settings. 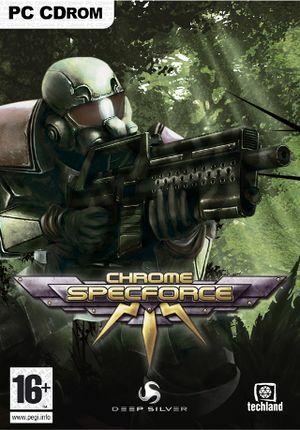 A set of widescreen, FOV, HUD and text rendering fixes for Chrome and Chrome SpecForce. Enables native support for higher resolutions and Hor+ FOV. Also includes files to disable mouse acceleration, LOD switching and increase draw distance. Download from Mod DB. Controller.scr contains mouse and controller settings. 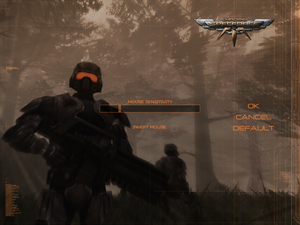 UserControls.scr contains key mapping settings. Each save uses multiple files. Run in window mode and use Borderless Gaming. Set in <path-to-game>\VideoSettings.scr or use unofficial patch to enable it in the options menu. Force in the graphics card control panel for highest quality. Disabled by default. Use D3Doverrider if it can't be forced using the graphics card control panel. No frame rate cap. Excessively high frame rates may result in delayed response for player movement and sliding. Change the Resolution values to the width and height of the resolution you want. Unofficial patch is available that makes the game support all available resolutions and displays them in the options menu. It also fixes stretching of some HUD elements. Open <path-to-game>\code.pak with 7-Zip or similar. Drop the edited file inside the <path-to-game>\code.pak archive to replace the existing file. Edited files can be downloaded from WSGF. Unofficial patch is available that changes FOV from Vert- to Hor+ and gives more options to edit different FOV settings. On by default. Unofficial patch includes recompiled Player.class file that disables it (put it inside <path-to-game>\code.pak archive). ↑ 2.0 2.1 File/folder structure within this directory reflects the path(s) listed for Windows and/or Steam game data (use Wine regedit to access Windows registry paths). Games with Steam Cloud support may store data in ~/.steam/steam/userdata/<user-id>/46430/ in addition to or instead of this directory. The app ID (46430) may differ in some cases. Treat backslashes as forward slashes. See the glossary page for details.